Let us help you with the high access cleaning and maintenance of your offices & buildings. To give you the most value from the equipment and safety checks, we can take qualified experts up with us to access the high places of your building. For example allow electricians access to the lighting, security systems, perform air conditioning maintenance or roof surveys. If you have a specific requirement then contact us and we would love to help. We can advise on how to safely set-up the right platform to get the job done. No job is beyond the reach of the professionals! There are just some areas that seem almost impossible to clean. Do you work in a building with a 20-foot vaulted ceiling? Need a church roof gutter unblocking? Perhaps your warehouse beams are in need of a dusting? These are jobs that simply cannot be undertaken by people without the correct training and equipment. ‘Hard to reach’ areas still need to be cleaned and maintained, particularly in commercial and industrial settings, so it’s important to a company that carries out high access cleaning Gloucester and high access cleaning in Cheltenham. The difficulty and height of some areas require that operatives are fully trained to the very best industry standards, have the correct equipment to carry out the job safely, are insured and fully understand the most recent Health and Safety regulations. 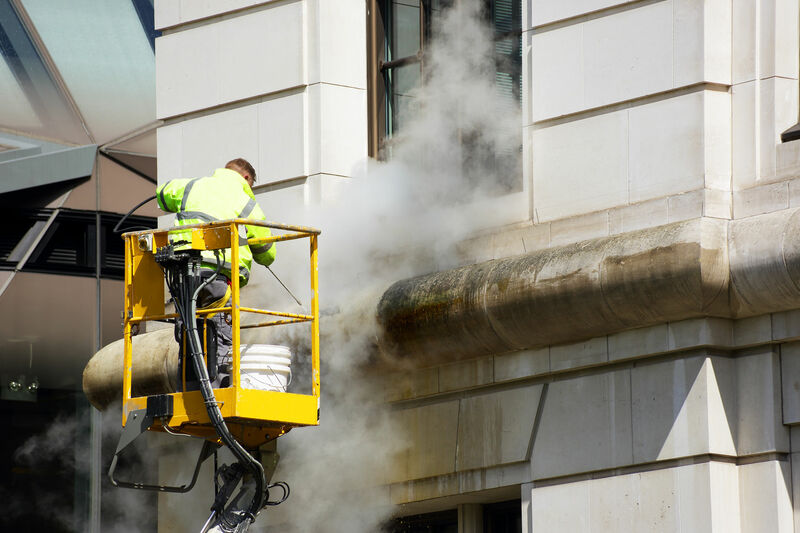 High access cleaning methods can be used in internal and external locations, often being used to clean high level windows, building fascia, masonry and clearing out blocked guttering. Other jobs that require high access can include internal wall and ceiling cleaning, graffiti removal and the washing of external cladding. Cleaning high or hard to reach areas presents some unique challenges and can often require the use of some specialist equipment including scaffolding, cherry pickers, work platforms and scissor lifts. 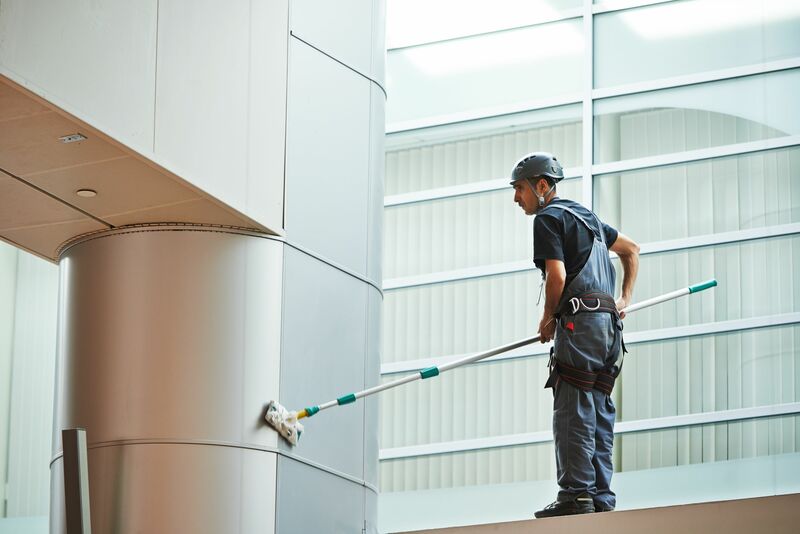 There are also many reasons why buildings might require high access cleaning services. Historic properties might want to restore previous beauty and grandeur by having environmental build-up cleaned away. The removal of soot might be needed after the outbreak of fire. Public and private buildings in urban areas might wish to clean away the mess caused by pigeons and seagulls. Internal cleaning might be necessary after a water pipe burst and consequent flood. 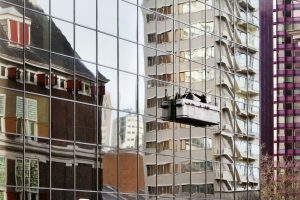 As you can see, there are many different scenarios that require the services of specially trained high access cleaners and equipment but what exactly does that equipment do? Tower Scaffold – These are a highly efficient solution for working at height over time. They are a handy alternative to ladders, which can only really be used for short periods. They offer increased safety and are normally made from steel or aluminium. Cherry Pickers – This is a hydraulic crane that has a safety platform attached at one end for people to work at height and can be raised and lowered when required. Also known as man-lifts, boom lifts or basket crane. Work Platform – Also known as an aerial work platform, it’s a mechanical device used to allow people to reach awkward spaces, usually at height. Similar to cherry pickers and scissor lifts, they allow temporary access to hard to reach areas and can usually be operated and set up by one person. Scissor Lift – Another motorised machine with a work platform, this has criss-crossing metal supports which stretch out as the machine is raised. 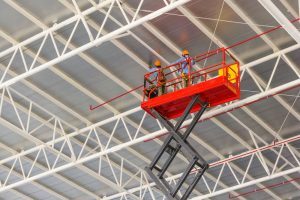 They enable workers to carry out tasks at considerable height without the need to worry about the balancing issues of a ladder.